She doped. Snorted cocaine. In the middle of Wimbledon last June, the 27-year-old Swiss Miss was routinely tested for drugs—like all athletes are—and, when the Sample “A” result came back, she was told, point-blank: You tested positive. Like you and the rest of the tennis world, I hope she’s innocent. I hope she’s telling the truth. 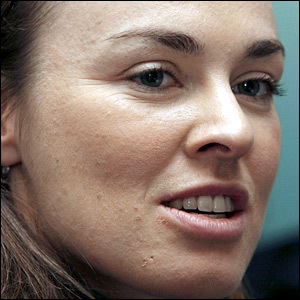 You see, Ms. Hingis is not tennis’ Bad Girl. She never was. You never read about her partying until 3 a.m. like Jennifer Capriati or lambasting an opponent who’s just beaten her like Serena Williams. Ever since she became the world’s youngest-ever world no.1 (at 16 years old) in 1997, her reputation was as white as the Swiss Alps snow. I, for one, adored Hingis. When I had the chance, back in 1999, to visit the U.S. Open with my dad Bunny, I stood 20 feet away from her while she practiced at a side court. I took photos, enlarged my eyes, and photographed the memory I knew I’d never forget. 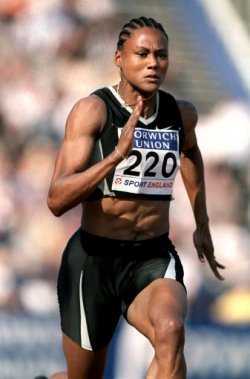 Take Marion Jones. Remember her? She was crowned one of history’s greatest track and field beings on Earth. Back at the 2000 Sydney Games, she was the princess, the Poster Girl, the smiling face of the Olympics who won gold medals in the 100 meters, 200 meters and the 1,600 relay, plus bronzes in the 400 relay and long jump. Then, in 2004, she was accused of taking steroids. Her reply? And the reply of every athlete who’s ever been accused, guilty or not? Today, of course, we know the truth. Marion Jones did do it. She injected steroids and, worse, she lied. Lied. Lied. While smiling before the cameras. The result? All her five Olympic medals have been confiscated, her earnings will be recovered, and she’s going to jail. And that’s not all: While the rule says that the gold medal be handed over to the silver medalist, in the case of Jones’ 100-meter win, the second-placer, Katerina Thanou, failed to show up for drug tests on the eve of the Games and was suspended for two years. So, does that mean the gold be handed to the bronze medalist? Sure. But what if she’s also a drug cheat? 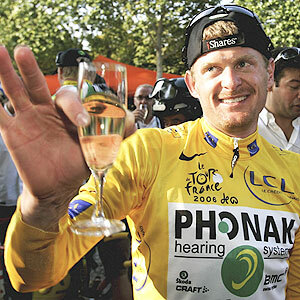 In cycling—and this was a major shocker—Floyd Landis tested positive. That was another heartbreaker for us, the cycling fans. Because when the 2006 Tour de France started, we thought, well, this will be devoid of drama… but it wasn’t. Because Landis wore the yellow jersey, surrendered it, wore it again, surrendered it, then rode “one of the most epic days of cycling ever seen” in Le Tour history, his Stage 17 victory. Then… drugs. The allegation. The denial. The court case. And finally, Landis stripped of his Tour victory. Sad. And I thought this only happened in politics!